SNI was asked to build a negotiation training curriculum for multiple job disciplines within Verizon including Sales, Marketing, Offer Management, Leadership, and Finance. This worldwide initiative required SNI to integrate its solution to the existing business training platform. SNI designed a customized curriculum to integrate our core negotiation philosophy, approach, and tools across all job disciplines. The programs were delivered by SNI and also through a train-the-trainer program utilizing Verizon internal trainers across the world and eventually teaching over 4,000 team members. Those taught through the train-the-trainer process were given our material, activities, methods and strategies for effectively teaching the program. In order to complete the certification process, they had to not only learn the material and show their ability to successfully perform the training but also had to demonstrate their knowledge by scoring at least a 90% on the train-the-trainer exit exam. Although requirements such as this led to not every registrant becoming certified through the program, it ensured SNI’s accountability and ability to guarantee the uniform delivery and success of our product. To further strengthen the effect of the training, SNI reinforced the content for months after the program. This process consisted of using numerous tools such as customized manager reinforcement sessions, online webinars, and real deal consulting. Immediately following the training, SNI worked with Verizon to measure the effectiveness of the program within their sales force. SNI was so confident in the value of the training that it partnered with Verizon to conduct a ROI study showcasing the impact that our habits and tools had on their sales team. The sales force for one business unit within Verizon Enterprise Solutions tracked their performance for the first 90 days following the training. 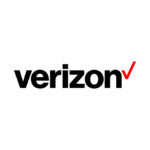 Verizon recognized an immediate impact on their team which directly influenced their bottom line. Verizon’s initial investment for the program was $549,013, including training fees plus expenses, participant time out of the field, etc. They realized an immediate impact after taking part in the training. The reported increase in revenue attributed to utilizing the skills and tools taught in the SNI Program for just one business unit amounted to $2,183,900. The leadership team identified an increase in the win ratio for deals as a result of increased internal collaboration using the SNI Systematic Approach. The SNI program has been delivered to over 4,000 Verizon employees across the world and is part of the Verizon core curriculum moving forward.